IF your cellular device notifies you of an Amber Alert, Blue Alert or Silver Alert, you can quickly find more information about the alert at: http://www.nd.gov/publicalert/. North Dakota Law Enforcement agencies across North Dakota can request Amber, Blue and Silver Alerts. An Amber Alert is issued when a child under the age of 18 is in grave danger of serious bodily harm or death and descriptive information is available to help with the safe recovery of the child. Blue Alerts are issued when a law enforcement officers in the line of duty has been killed, seriously injured or missing or credible threats made so that a Blue Alert can warn the public of the suspect. 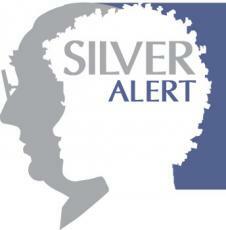 The Silver Alert is made to assist in the search and safe recovery of a missing senior or other adult with Alzheimer’s or other cognitive disorders.